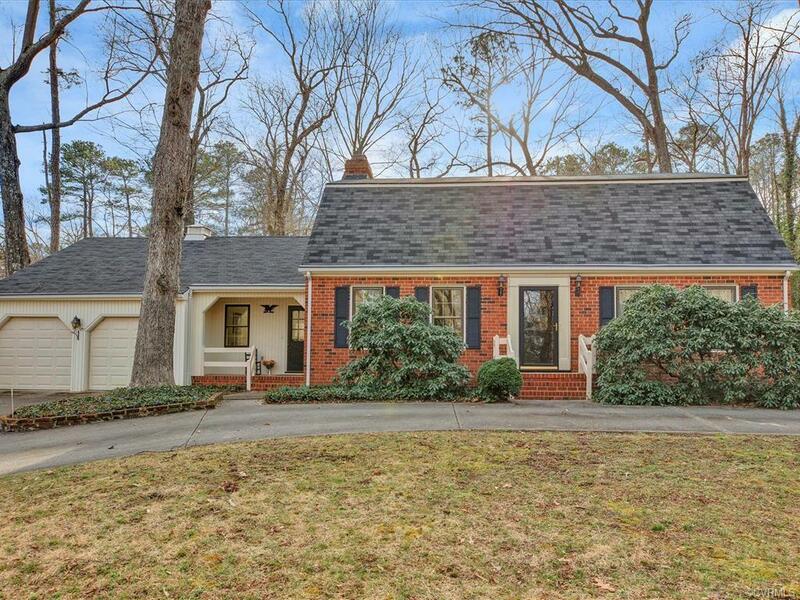 A lovely custom built 3 bedroom 2 bath Dutch Colonial in a quiet & established Chester neighborhood. Beautiful curb appeal with a brick front, vinyl siding, mature plantings and a full circular drive on a private lot. The interior features 3 oversized bedrooms all with hardwood flooring and wonderful closet space. 1st or 2nd floor master bedroom! The well maintained home offers a 1 year old HVAC system, a new stainless wall oven, new hood & less than two year old dishwasher. Refrigerator included too! You will love the bright & large family room with a brick, wood burning fireplace & picture window overlooking the level & private backyard. The living room is tucked away on the opposite side of the home, perfect for a home office or study. There's more to appreciate...a two car attached garage with attic storage, solid wood core interior doors, full yard irrigation, gutter guards, large 1st floor laundry/mudroom and a one year American Home Shield home warranty for the buyer! Convenient to shopping, major highways, Fort Lee and Chester Center. Award winning Chesterfield schools. What's not to love!